Hard man Levi Van Gysen was in the carpark at sunrise. 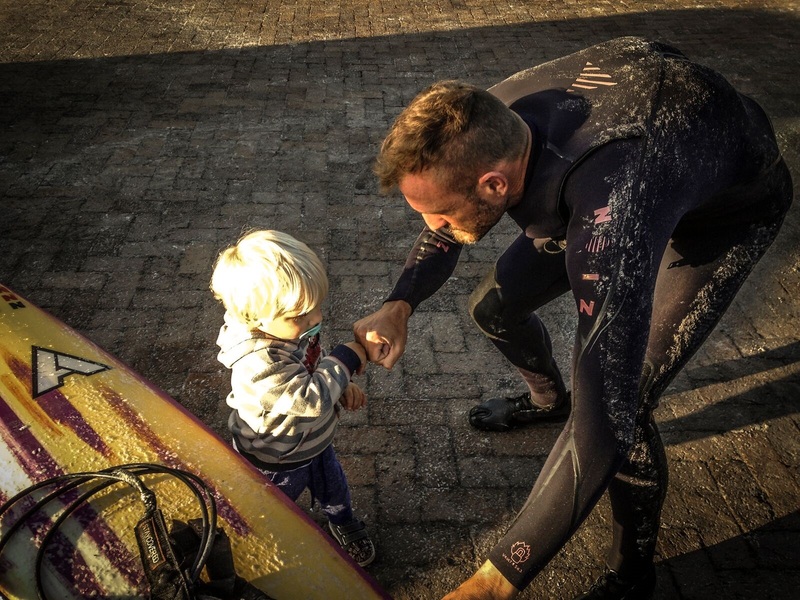 The 2 year old Kommetjie local waxed up his dad’ s 9 foot gun and encouraged the rest of the crew with fist bumps. Standing nearby were the 3 “Iron Maidens.” As they went through their stretches and gear check, the morning air was punctuated with the sound of their nervous laughter. 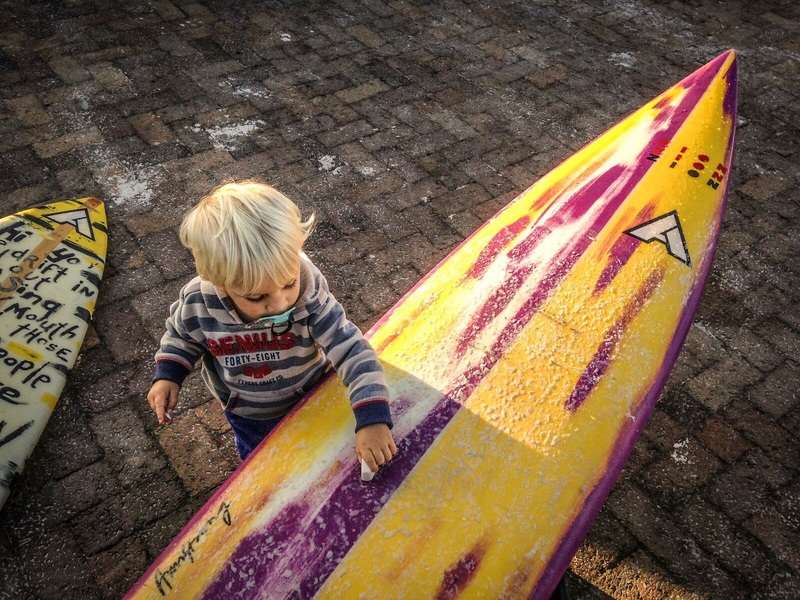 Holle Wlokas, Caitlin Moir and Tammy-Lee Smith had spent the week riding 6 -10ft waves at The Crayfish Factory on their big boards. This was by way of preparation for paddling one of the deep water reefs. Out back 10-12ft waves folded-over lazily, in the warm winter sun. 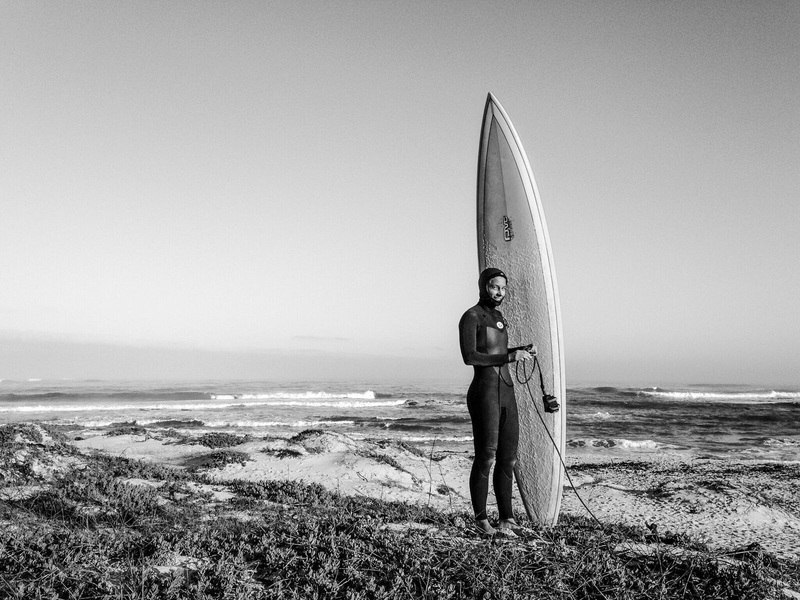 (Levi Van Gysen had to look after his mom and sisters back on land, so he didn’t paddle out this time.) All 3 ladies pulled themselves onto big, steep waves. Holle had a particularly big late drop on a set wave that shut down with her still in the centre of it. During the ensuing beat down she re-injured on old wound and had to be helped back up the beach by some fellow surfers. 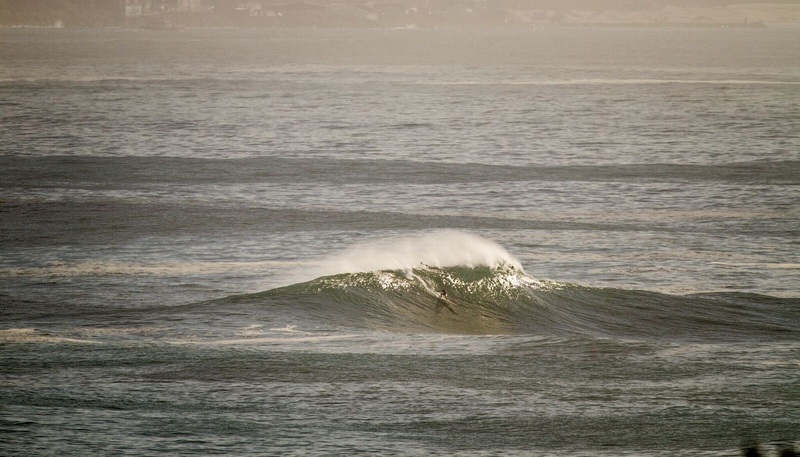 That incident aside, it was a historic day for woman's surfing in South Africa. To share the line-up with 3 ladies who were starting the journey of riding big waves together, was both inspiring and a rare privilege.